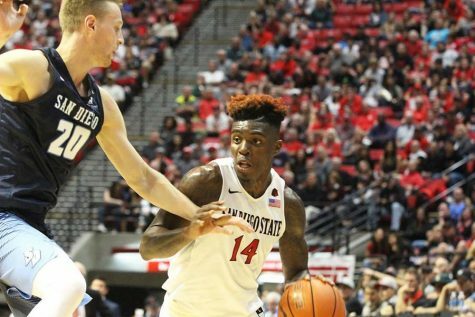 Seven games into the season trends are beginning to form for the San Diego State men’s basketball team. 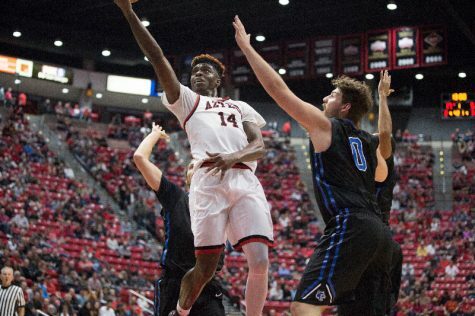 First, there is no place like home for these Aztecs, who dropped their third road decision of the season to Grand Canyon University, 76-72, in Phoenix, Arizona. In all three of those losses, SDSU (4-3) has been held below 75 points and their opponents have shot better than 39 percent, including the Lopes, who shot 52 percent on Wednesday night. 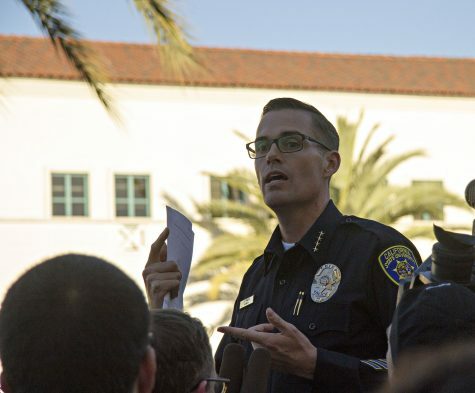 While scoring 45 points in the second half, the Aztecs, who were inconsistent offensively in the first frame, ended the game on that same season-long trend. SDSU was unable to score in the final 2:20 of the match. Sophomore guard Jeremy Hemsley, who had 25 points in the half, was unable to convert the possible game-tying layup with 16 seconds left. He turned the ball over on the Aztecs’ final possession as well. Despite the loss, SDSU came into their matchup against GCU with one clear intention: attack the paint. Redshirt sophomore Zylan Cheatham energized the charge, especially in the second half, as he finished with a double-double. The forward scored 14 of his 17 points in the final 20 minutes, including 15 points at the rim or at the free throw line. 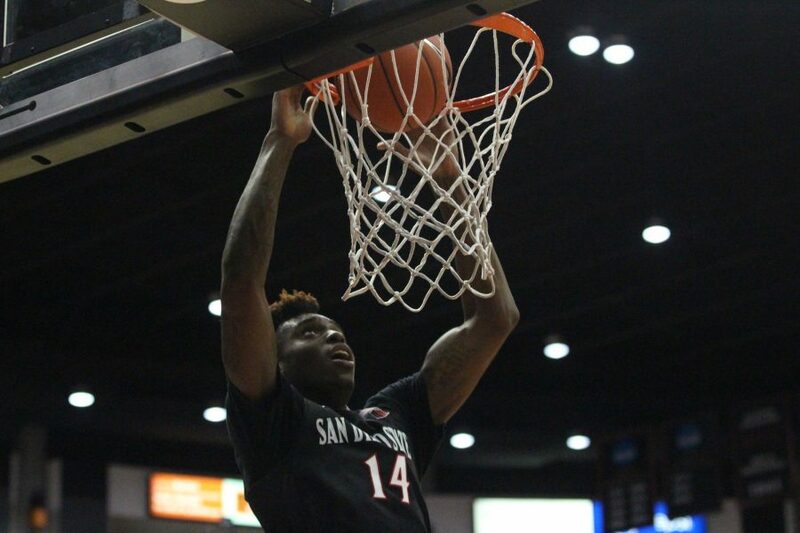 Cheatham also had a team-high 12 rebounds for the Aztecs. 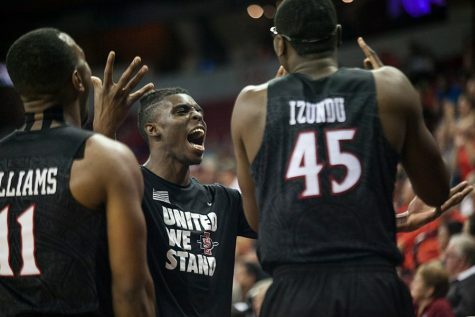 As a team, SDSU brought down 41 boards, including 20 offensive rebounds which translated to 22 second chance points. SDSU finished the night with 24 points in the paint and forced the Lopes to commit 23 fouls. The aggression in the first half of the game was turned into easier long distance looks for Hemsley. The leading scorer for the Aztecs, ended his night with 27 points and was 7 of 8 from 3-point range in the second half. While Cheatham held four fouls for a majority of the second half, head coach Steve Fisher couldn’t take his production off the floor. Hemsley and Cheatham accounted for 39 of SDSU’s 45 second half points. However, the remaining Aztecs were a combined 2 of 11 from the floor in the second frame, including an 0-for-7 showing from junior guard Trey Kell. 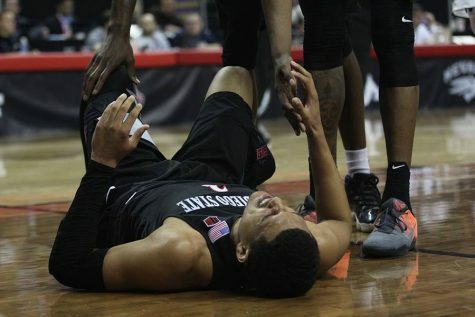 Whereas the Aztecs struggled to help their high-powered duo, GCU received 24 points from its bench. The trio of sophomore forward Max Hoetzel, redshirt freshman Nolan Narain and sophomore guard Montaque Gill-Caesar combined for zero points on 0 of 4 shooting in eight total minutes between the three. After only leading for 2:39 against Loyola University, SDSU took the early lead against the Lopes and led by as many as four. However, GCU used a 9-0 run in the middle of the first half to turn a 16-12 deficit into a 21-16 lead. 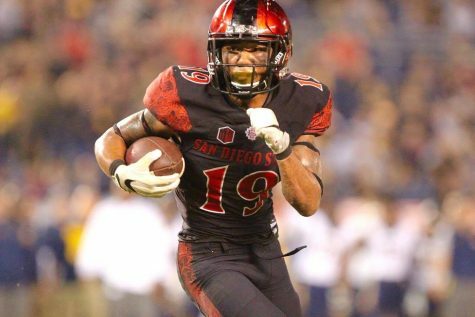 The Aztecs, who have been inconsistent all season long offensively, continued that trend in the first half. In a stretch that lasted over four minutes late in the first 20 minutes, SDSU failed to score from the floor and were only able to muster two free throws. 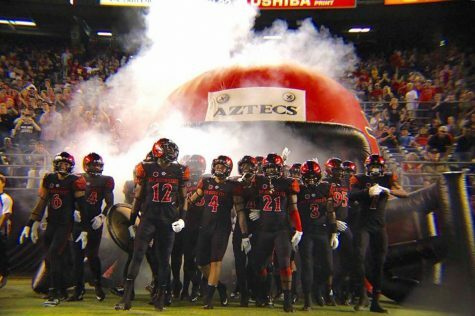 SDSU returns to Viejas Arena, where it is 3-0, when it hosts Arizona State at 4 p.m. Saturday Dec. 10. I am a loyal SDSU alumni fan. I’m calling it as it see it. Our “bigs” (Izundu, Hoetzel) looked lost and slow during defense and as far as offense, zero contributors. What happened to the strategy of having long, fast, and lean players? Our players look like they are just going through the motions of a practice instead of a televised game. I hope our players realize that they are getting a paid college education to perform to the best of their abilities on the floor. 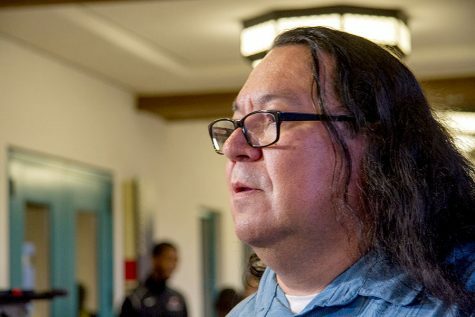 As I see it now, the New Mexico Lobos are going to sweep us this year. This team isn’t getting any better. Hate to say it, but can anyone name a player under Steve Fisher who has demonstrably improved during this time at SDSU? Everyone seems about the same when they leave as when they enter. The coaching staff needs to do a better job developing these guys into better players. YOU NEED SCORERS ON ANY LEVEL BASKETBALL TEAM. NOBODY ON SDSU CAN SCORE. This reminds me of a Highschool-esc team where all the players are football players and athletism beats skill and basketball talent.